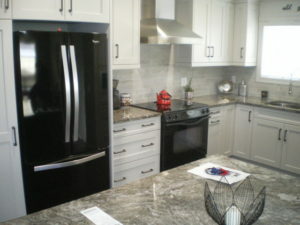 I was researching for kitchen companies, and thought i should mention my positive experience with Ekko Cabinetry. 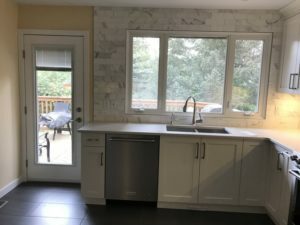 They are a small company in Bridgeland and I think they are a family operation owned and operated.They provide granite too. Not sure if just for their clients or not. 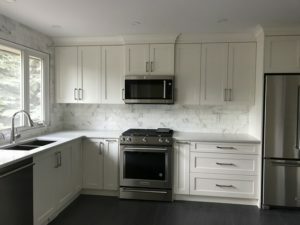 From the moment I stepped into the showroom I was welcomed by a team of professionals who were able to guide me in the right direction with my renovation. Suzanne was able to make great suggestions and took the time to listen to what I wanted. Then she came to the house to have a look and make more suggestions. 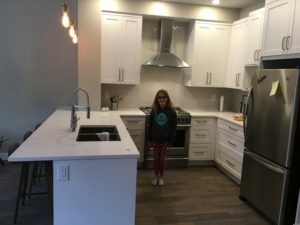 I loved the fact that Suzanne made a template of the island because we were able to get a feel of how big the island was going to be and from that template we determined that we should make the island bigger. Once that was determined we were able to decide on the place,net of the other cabinets. 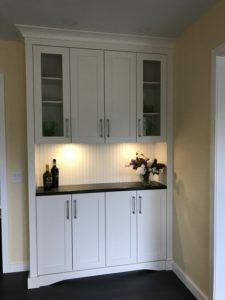 Once the cabinets were ready they were installed within two days and since the bathrooms were not ready for the cabinets Ekko was wonderful enough to make arrangements to come back. Once all was in place we had a visit to ensure that everything was to our satisfaction. 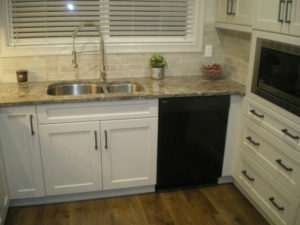 The follow up from Ekko has been amazing and we would recommend ekko cabinetry to anyone. 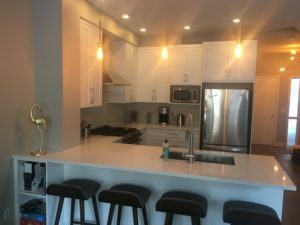 Ekko did a wonderful job on our Canmore condo. A small space, but it feels much brighter and larger now. Rema is wonderful, professional & accommodating. I would totally use Ekko again. Elko was friendly and always accommodating. I would use them again. I am very pleased with the end product.